Quality early in application development sounds nice, but actually making it happen brings significant cost savings, repeatable quality assurance processes, higher user satisfaction, and shorter development cycles. The results reward developers, end users, and IT operators alike. 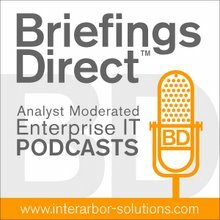 To better understand the journey to quality assurance for new applications -- and the processes that work best -- BriefingsDirect interviewed IT executives at FICO, Gevity and JetBlue in a podcast discussion moderated by me, Dana Gardner. It comes as part of a special BriefingsDirect podcast series from the Hewlett-Packard Software Universe 2009 Conference in Las Vegas this week. Listen as we hear from Matt Dixon, senior manager of tools and processes at FICO; Vito Melfi, vice president of IT operations at Gevity, a part of TriNet, and HP Award of Excellence winner Sagi Varghese, manger of quality assurance at JetBlue.